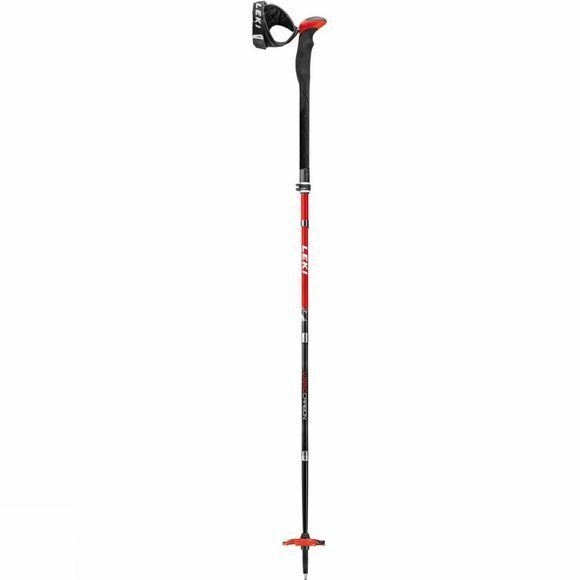 The Mens Tour Stick Vario Carbon Pole from Leki is one of the most versatile all-purpose weapons since ski poles existed. When not in use, the folding pole with a pack size of 42 cm fits in any rucksack. 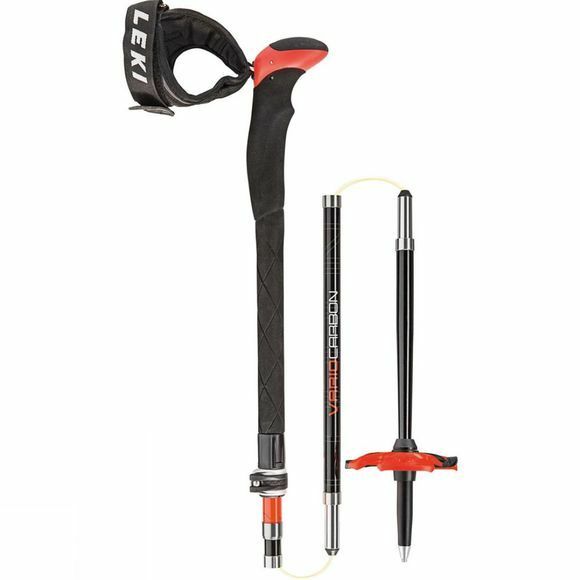 LEKI has developed the very safe ELD system for fast folding. With a press of the wide button, the folding mechanism can be easily operated with gloves. When on the mountain, the Tour Stick Vario Carbon can be adjusted between 115 and 135 cm using the Speed ​​Lock 2 system certified by TÜV Süd. The strap has a neoprene element which provides additional insulation. In addition, the stick scores points with its two-component "Binding Basket": The hard elements can be used to open and adjust the heel lifter; the outer edge of the basket can be used to get rid of icy snowfall.